Dr. Benita Perch received her Bachelor of Science (Hons) in Nutrition from Kings College London (UK). She obtained her Doctorate in Naturopathic Medicine from Southwest College of Naturopathic Medicine (Phoenix, AZ) and graduated with the highest honours. After graduating Dr. Perch completed a 1 year residency in general family medicine with a focus in homeopathy, botanical medicine and nutrition. She has trained under world-wide experts in Alternative Medicine and is one of the few licensed North American trained Naturopathic Physicians practicing in Hong Kong. Dr. Perch is licensed as a Naturopathic Physician in Arizona, USA and is a member of the American Association of Naturopathic Physicians. In South Africa she is registered with the Allied Health Professions Council as a Naturopath. Dr. Perch was born and raised in Cape Town, South Africa and returned home after completing her residency. In South Africa she was employed full-time as an Associate Lecturer by the School of Natural Medicine at the University of the Western Cape. She also built up a successful private practice at the Cape Health Centre. She did numerous radio interviews and wrote articles for Business Day Newspaper, the SA Journal of Natural Medicine and Link-Up among others. Dr Perch recently relocated to Hong Kong with her husband and is enjoying exploring this diverse city. She is looking forward to bringing her own flavour of Natural Medicine to Hong Kong. She continues to study the latest trends and scientific information in Natural Medicine on a daily basis. She attends an annual advanced training in homeopathy by world renowned homepath Andre Saine as well as many other seminars and conferences. She is currently doing a 2 year functional medicine series through the Institute of Functional Medicine. 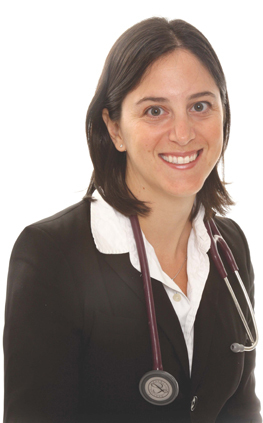 She is passionate about the health and well-being of her patients, the planet and Naturopathic Medicine.